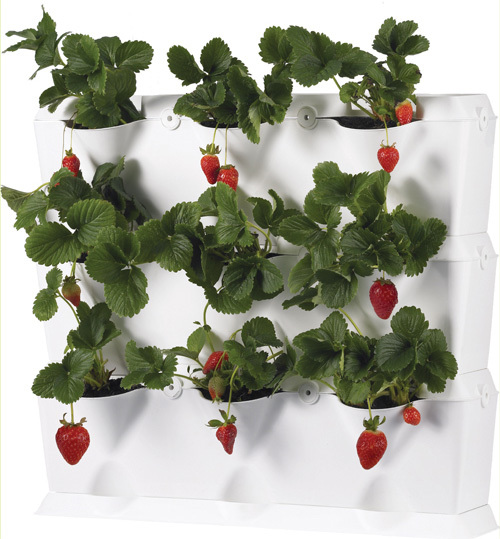 Vertical gardening is more popular than ever! We love the WollyPocket but their price point isn’t for everyone. A fabulous alternative is the MiniGarden from Earthbox. Each MiniGarden comes as 3 layers (9 pockets) which include: 1 water collection tray, 3 planting rows, 3 lids/trays, and 18 assembly clips. Each MiniGarden measures 25″ L x 5 3/4″ D x 23″ H when assembled. One complete unit holds 2 cu. ft. of growing media.